Born in Detroit, vocalist Pat Smillie grew up as an avid music collector whose earliest musical influences included Motor City artists such as The Temptations, Marvin Gaye, Wilson Pickett, Bob Seger and Mitch Ryder. In 1992, Smillie moved to Chicago where he cut his teeth as a live performer on Chicago's hard-scrabble south and west sides. It was during an early residency at the legendary Checkerboard Lounge that Smillie cemented his reputation as a powerhouse vocalist. He did it the hard way: without a guitar, harmonica, or any other instrument to fall back upon. Between 1999 - 2007, he would record three albums worth of original material blending his soul, blues, and rock influences. In 2011, Smillie and his band toured Europe and performed at the Blues Alive Festival (in Sumperk, CZ). 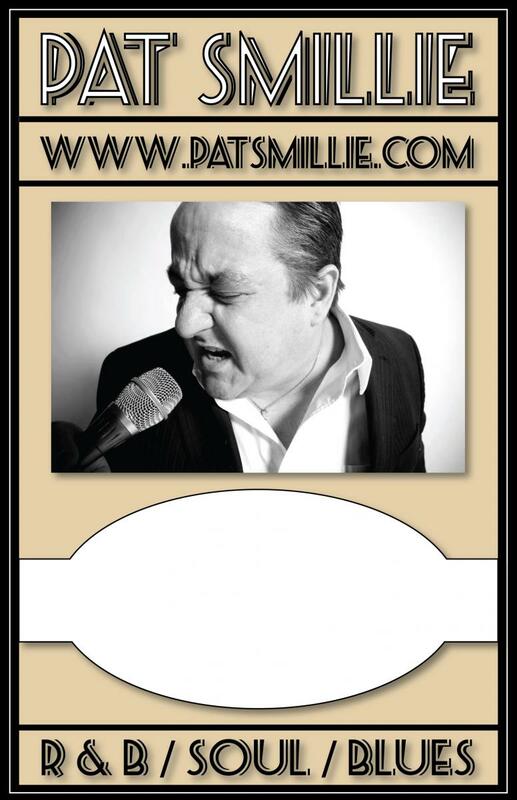 Over the years, Pat Smillie has served as an opening act on shows and festivals for Koko Taylor, Bobby Rush, Andre Williams, Robert Cray, Mitch Ryder, and Bob Seger and The Silver Bullet Band. In the Summer of 2015, frustrated by what he saw as the decline of Chicago's live music scene, Smillie returned to live in Detroit, MI. He performs regularly with renowned Detroit guitarist Jim McCarty (formerly of Mitch Ryder & The Detroit Wheels, Cactus, & The Rockets). He also serves a monthly residency with Motown guitarist (and Funk Brother), Dennis Coffey, at Northern Lights Lounge (Detroit, MI). Pat Smillie is currently writng songs and recording demos for an upcoming studio project.